Arsenal goalkeeper Bernd Leno has given his verdict on Jesse Lingard’s provocative celebrations and Gedion Zelalem has left the Emirates Stadium. Arsenal faced Manchester United last night and they won the match 2 nil thanks to a great performance from all the players. 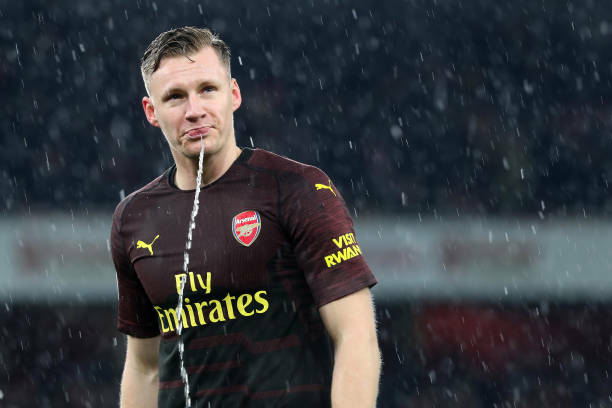 Bernd Leno had an immerse performance because he made many important saves to stop the visitors from going on the score board. Manchester United star Jesse Lingard scored a brace in their 3-1 win over Arsenal last season and he danced at the Emirates to celebrate hence this becoming a very popular meme amongst football fans. Lingard once again danced at the Emirates Stadium in Manchester United 3-1 win over Arsenal in the FA Cup this season and the Man Utd fans were hoping to see him start but he wasn’t fully fit, his team lost 2-0. Arsenal goalkeeper Bernd Leno has said that the remarks and trolling by Manchester United’s Jesse Lingard so them rise up to the challenge and stop this from happening again. Here is what Bernd Leno said while talking to Sky Sports. “In your mind you will never forget something like that, when somebody is celebrating.” said the Arsenal goalkeeper on Man Utd’s 3-1 win over the gunners in the FA Cup. In other news, Arsenal youngster Gedion Zelalem has left the gunners to join Major League Soccer side Sporting Kansas City on a permanent deal because he has failed to break into the first eleven of the gunners because of various reasons. Gedion Zelalem joins the MLS side on a free transfer and it’s disappointing for the Arsenal fans because they had much hope in him when he was very consistent in the youth leagues. It will be interesting to see if Arsenal’s new youngsters like Emile Smith Rowe, Reiss Nelson and Eddie Nketiah will be able to get chances in the future.